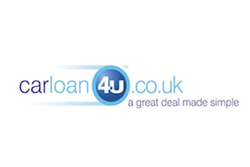 The UK’s leading car finance website Car Loan 4U comments on recent increases in Ford car sales. We are not surprised to see that Ford Focus sales have increased – the new official sales figures merely confirm what we are already seeing from car finance applications on our website. One of the UK’s most popular car models, the Ford Focus, shows no sign of losing its appeal after new figures show that it was the UK’s best selling new car for February 2012. Official figures show that the Ford Focus took 6.0 per cent of the total car market in February, up from 3.9 per cent in February 2011. The figures show a correlation between the number of new Ford Focus purchases and the number of motorists looking for affordable Ford Focus car finance with Car Loan 4U. In the recent Car Finance Car Index from Car Loan 4U the Ford Focus was the second most popular car for those looking for available car finance, only beaten by the Vauxhall Astra. “We are not surprised to see that Ford Focus sales have increased – the new official sales figures merely confirm what we are already seeing from car finance applications on our website. “To come in second place in our latest Car Finance Car Index, which looks at credit applications each month from thousands of motorists across the UK, is testament to the car’s appeal with UK motorists. “Whether a young, single male driver or for use as a family vehicle, business or leisure, the Ford Focus is a versatile and reliable car, suitable for most motorists, so it is obvious to see why it has generated so many new sales this year. Car Loan 4U prides itself on offering a great service to customers. A team of dedicated car loan advisors is on hand to help guide customers through the entire car credit process. For your car finance needs visit: http://www.carloan4u.co.uk.